Pro-Trump media is spreading across the U.S., disseminating Trumpian rhetoric about fake news and mainstream media bias through every medium. The big picture, from Rodney Benson, chair of NYU's Department of Media, Culture, and Communication: "Many of the media moving toward subscriptions have disproportionately left-liberal audiences. ... While liberal media draw their circles ever tighter around themselves (via paywalls, high-level content, etc. ), conservatives are fighting to extend their mass reach." The latest: "Bill O’Reilly is in talks to head back to cable news in his old 8 p.m. slot, but this time at Newsmax TV," according to N.Y. Post's "Page Six." Newsmax owner Chris Ruddy is close friends with President Trump, and O'Reilly's return to the spotlight would add a prominent voice to a news outlet friendly to the president (though O'Reilly has criticized Trump in the past). 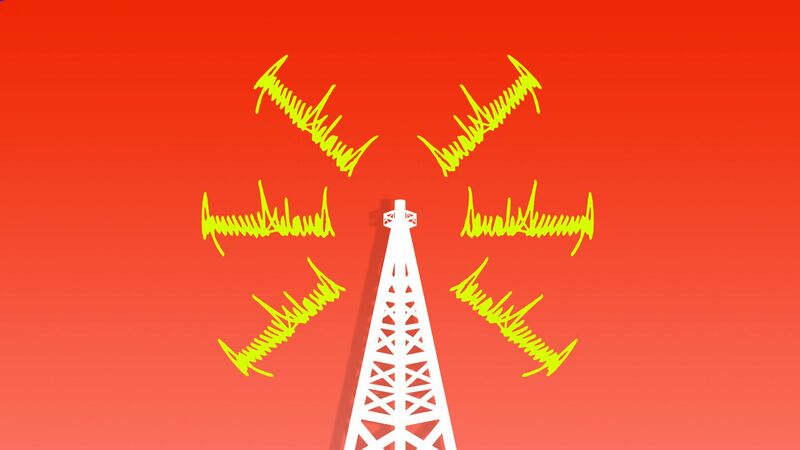 Radio: Executives at Salem Radio, the parent company of some of the most popular conservative talk shows, pressured radio hosts to cover Trump more positively, according to emails obtained by CNNMoney. Broadcast: Sinclair Broadcasting, the largest owner of local TV stations, has drawn criticism for its "must-run" editorials and scripts — peppering local newscasts with pro-Trump talking points — but continues the practice. Cable: Very few people were surprised by this week's New York mag story about Fox's Sean Hannity speaking regularly at night with Trump. The network's pro-Trump, prime time coverage in focuses heavily on stories that highlight the supposed dishonesty of mainstream media. Digital: A handful of local news sites, like “Tennessee Star” and the “Arizona Monitor,” are popping up, with headlines supporting GOP candidates that are then sometimes featured for GOP election ads, Politico reports. These sites are intentionally framed to look like real news websites, as outwardly conservative sites, like The Daily Caller and Breitbart, see traffic dips. Be smart: In the past, the out-of-power party got the media bump (right-wing radio under President Clinton). Instead, Trump is lifting all media boats: Crooked Media's Pod Save America, founded by Obama alumni, is one of the era's huge success stories. Note: this story's first bullet has been corrected to show O'Reilly has been a critic of the president.